Florida’s popularity as an adventure and vacation destination leads to more recreational vehicles on our roads, freeways, waterways, and nearly any location imaginable, as compared to other states. We have state parks, campsites, beaches, and lakes that make our state a frequently visited place and the ideal place to own and use an RV Camper, boat, or other recreational vehicle. Given the ever-growing popularity of these types of vehicles, it is clear to see why our attorneys have been asked to represent hundreds of Floridians in recreational vehicle accidents in Miami and surrounding areas in Florida. If you’ve been involved in an accident where injury or even death has occurred, we urge you to call an attorney immediately that can investigate the circumstances surrounding the accident. Regardless of your role or participation in the accident, representation by an experienced attorney is a crucial part to pursuing and defending your rights. 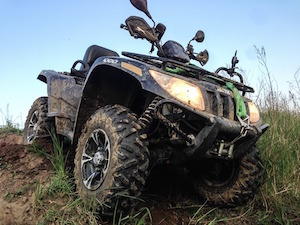 Our attorneys have over 100 years of cumulative experience working on cases involving recreational vehicles in Miami and can help you find justice in a court of law if your claim is unable to be resolved prior to filing a lawsuit. Give us a call to discuss your claim right away. Florida law does not mandate drivers hold an RV-specific license or permit when controlling their recreational vehicle, unlike many other states. Any individual with a valid Class E driving license can drive a non-commercial recreational vehicle, as defined by Florida Statute 320.01, regardless of its size, which means that there are inexperienced drivers, with potentially zero practice, on our roads, campgrounds, and bodies of water every single day. Their lack of experience could have been the cause of your or your loved one’s injury or death, without any fault of your own. Often, accidents are due to the negligence of one party, but sometimes the reason that accidents, such as those involving RVs, can turn deadly is due to issues originating at the point of manufacture. After careful investigation, our team of skilled attorneys and professional investigators may find that the recreational vehicle in question was defective or dangerous, and that defect or danger led to the accident you were involved in. If that is found to be the case, you may be able to seek compensation from the companies and individuals involved in the manufacture of the vehicle, including the designers, engineers, and retailer where the vehicle was purchased. Our attorneys will leave no stone unturned when seeking accountability from the responsible parties. With years of experience fighting for compensation for individuals like you, our attorneys have handled claims involving nearly every type of recreational vehicle accident in Miami, including ones similar to what you may have faced. Do not let those responsible for your suffering, injury, pain, or loss avoid the repercussions of their actions. 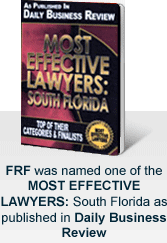 Call the attorneys at Friedman, Rodman & Frank immediately at 305-448-8585 to discuss your case. Our free consultations are available in English, Spanish, and Creole. There are no out of pocket expenses and no fees unless compensation is obtained for you.